So... how does one make brownies without flour, nuts or seeds? To take it a step further, I was also avoiding coconut flour due to the (high, high, high fiber) and another step, no bananas. It was my Mom's birthday celebration and she has a bit of a sensitivity to bananas if she has too much as well as nuts and seeds. We (my sister, Mom and I) are all gluten and dairy free. Whisk the sweet potato puree, eggs and honey together. Meanwhile, heat on low the dark chocolate, stirring occasionally until the chocolate is melted. Add to the sweet potato mixture and combine well. 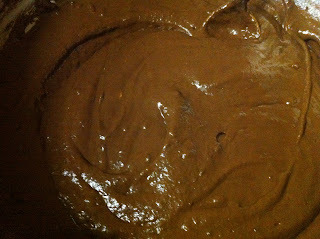 Add in the cocoa powder, arrowroot powder and vanilla and mix thoroughly. Lastly, add in the grapeseed oil, salt and baking soda until well incorporated. 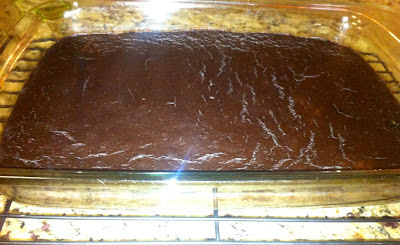 Grease a baking pan (I used a cake pan) and bake at 325° for about 25 minutes or until a toothpick comes out clean. If you use a smaller brownie pan then you will likely need to increase the time to about 35 minutes. 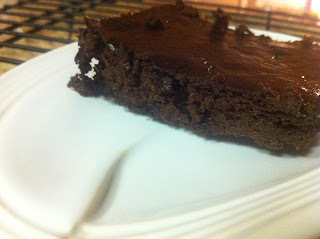 Not only did they look, smell and act like brownies, they tasted like them too ;) It's possible that some would argue they are better than the average dairy and gluten-filled brownie or even the typical paleo brownie made from nuts or nutbutters. Or, maybe just I would argue that... I loved them. What size can of sweet potato?